Sign Up For The Expeditioner’s Newsletter: Receive A Free E-Book! Have you signed up yet for the new TheExpeditioner.com newsletter? Enter you e-mail to keep updated with stories, news and maybe the occasional giveaway and contests. And, as a bonus, all new subscribers will receive a free(!) 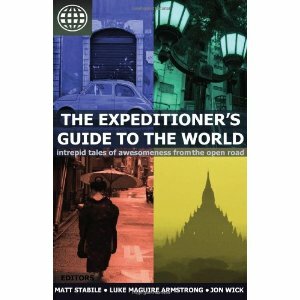 digital edition of The Expeditioner’s Guide to the World: Intrepid Tales of Awesomeness from the Open Road. And, don’t worry, there are two other ways to connect with The Expeditioner: like us on Facebook and follow us on Twitter.